It takes two to make style go right. 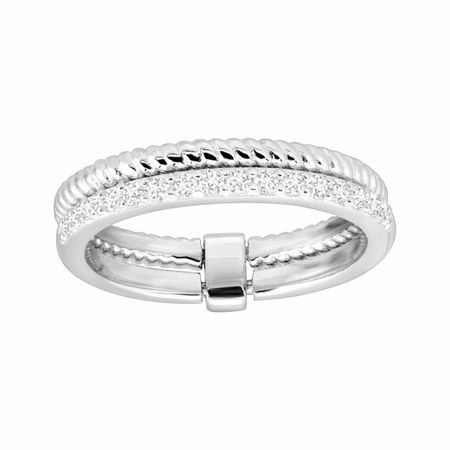 Two sterling silver bands, one textured and one cubic zirconia-studded, are connected at the base for a movable and stacked look. Ring face measures 1/8 inches in width.